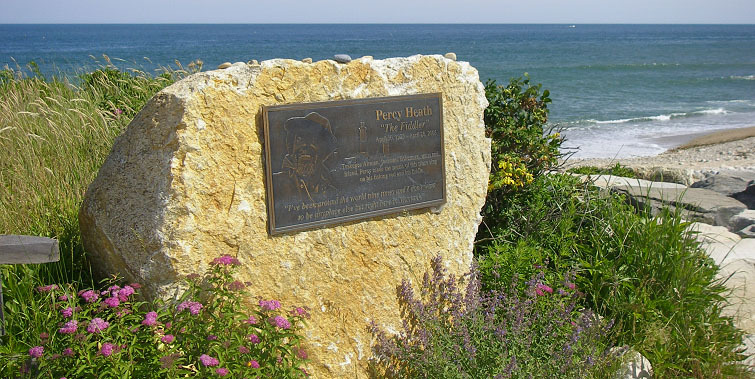 Memorial Plaques - Memory Plaques - Bronze Plaques - Custom Plaques - Dedication Plaques - Innovative Signs, Inc.
As visitors to Montauk Point Lighthouse discover every single day, there was much more to Percy Heath than they ever knew. 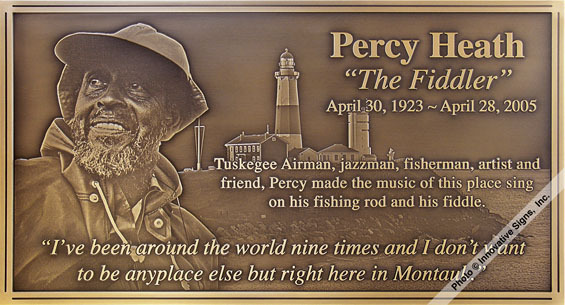 This is what great memorial plaque design is all about; Giving people a small glimpse into a person’s life, revealing a portion of his or her character, and creating a new level of appreciation for that person in the minds of all who come across his or her memorial plaque. 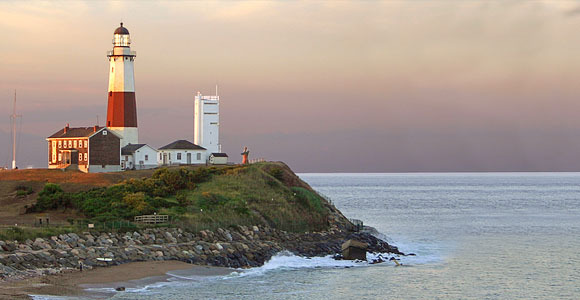 3D Photo Relief™ of Mr. Heath and the Montauk lighthouse scene. You do awesome work. I particularly like the last sentence in italics. A very nice touch. 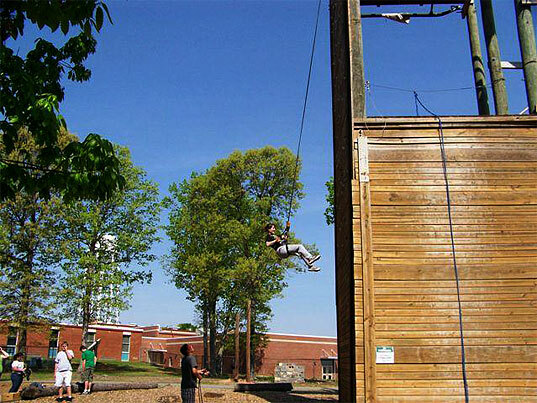 One candid photograph is all it took to capture Mr. Gaspard enjoying one of his favorite pastimes. 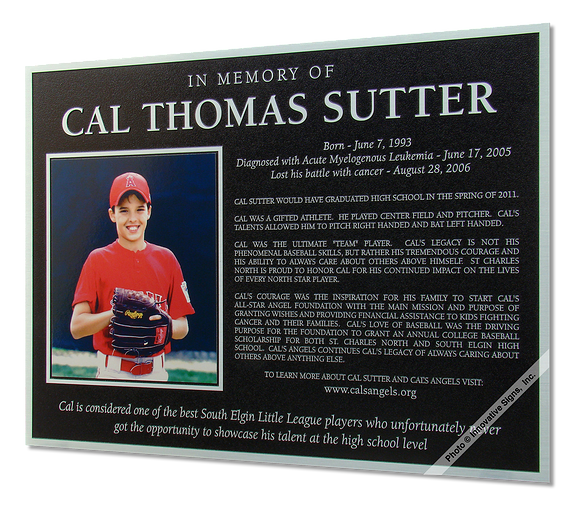 This beautiful memorial plaque makes the most of that single moment by reproducing it in full-color contoured 3-D Photo Relief™. 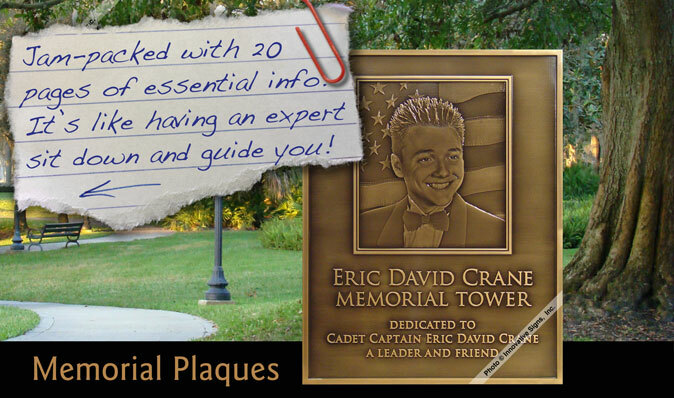 Click the video to discover the four key features that make this a truly unique memorial plaque. 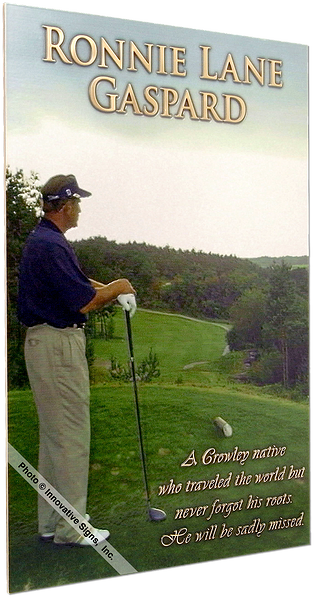 Candid shot of Mr. Gaspard looking away from camera, enjoying the scene. 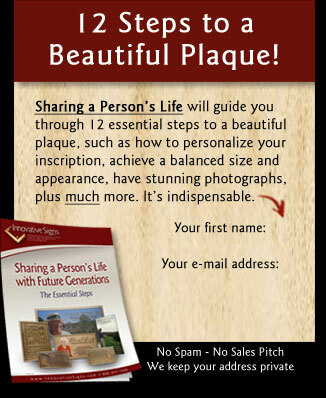 Plaque has no borders, minimal text. 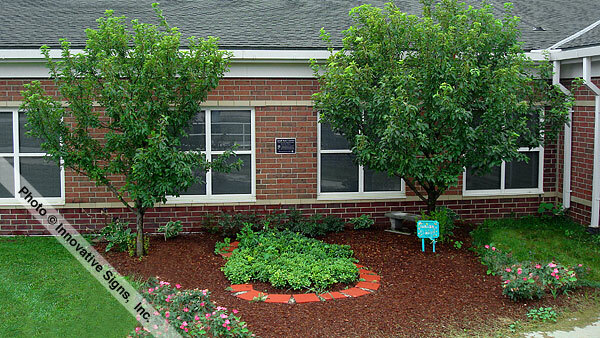 This small garden area outside Ridge Wood Elementary School is dedicated to former student Sarah Rose Girard. 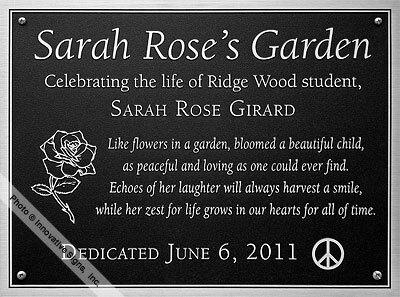 With the dedication plaque in place, every teacher and student who visits this garden will discover just how much Sarah meant to those who knew her. Custom flower and peace sign graphics. 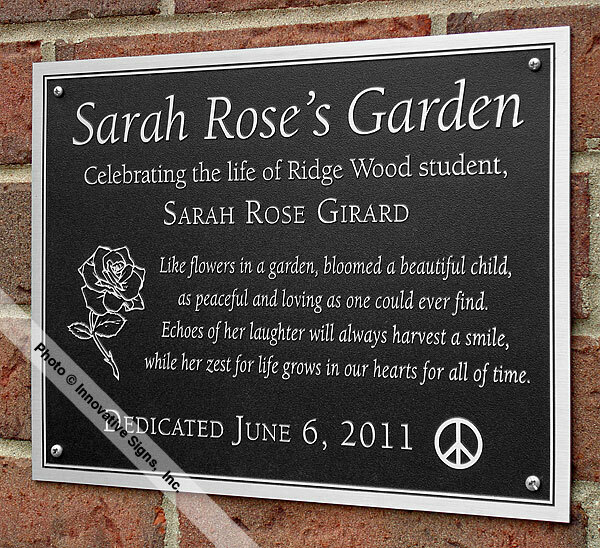 I recently purchased three plaques from Innovative Signs for my sister's memorial garden and I want to express my sincere appreciation for Lisa Garvin's assistance. 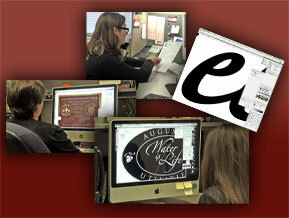 I had basic plaque layouts and text in mind, but she added design touches that made a huge difference. I'm a detail oriented person with lots of questions, and she very patiently answered all my questions about materials, process and mounting, and researched the answers if she didn't know them and quickly got back to me. 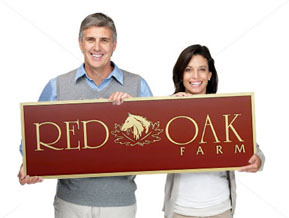 I had tried working with another plaque company in New York and received horrible customer service. Creating the memorial plaques was an emotional experience and I very much appreciated Lisa's patience and support through the process. I also was very pleased with the quality of the plaques themselves. My family and I love them. They add so much to the garden. 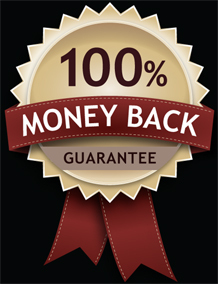 Thank you for producing a great product with great customer service. 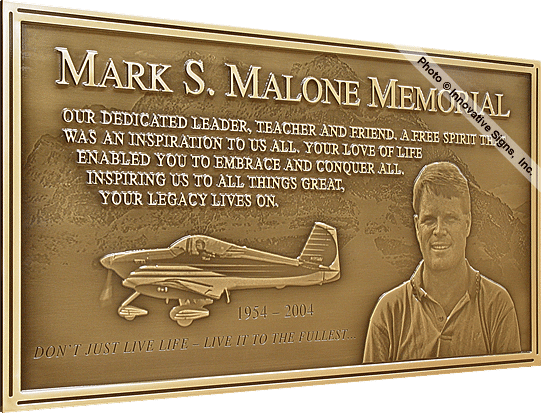 This memorial plaque forms an extremely vivid picture of Mark&apos;s life, and makes a strong statement about the impact he had on those who knew him. A good designer will make this happen without you even realizing it, combining visual elements with text in a way that invites people in for a closer look. "I can&apos;t tell you how impressed I am with your ability to portray Mark just as we knew him to be. The plaque is beautiful. 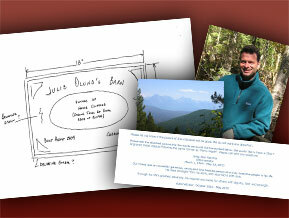 This has truly been a rewarding experience, and to have found professionals such as yourselves is a God-send." Separate images of the mountain and airplane were combined to create this flying scene. 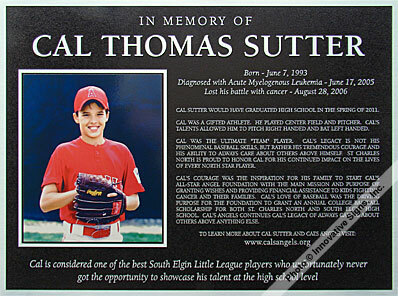 Cal&apos;s All-Star Angels Foundation, Inc.
Cal&apos;s family didn&apos;t have to include his photo on this memorial plaque. 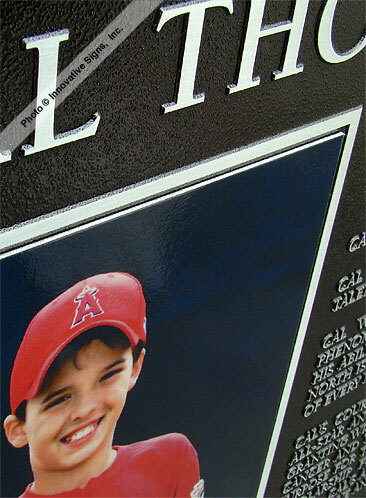 However, knowing how much he loved baseball, and how very helpful it would be for everyone to put a face with his name, they decided to include his full-color Little League portrait. 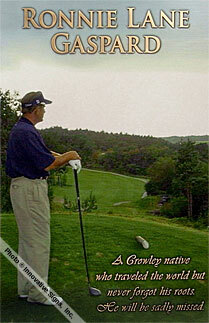 Not only does this draw people in for a closer look, it also adds depth and character to Cal&apos;s story. 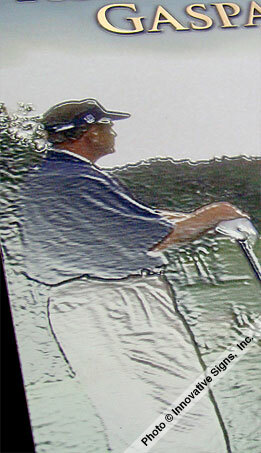 Alumicolor panel (5.75" x 7") with full-color image of Cal. 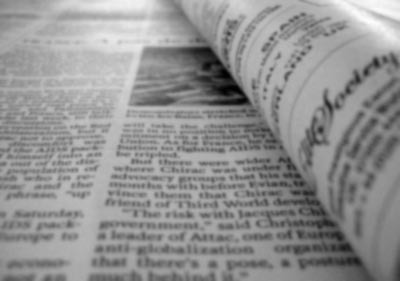 As I write this note on Christmas morning, I have to tell you: you have given us the best present of the year. 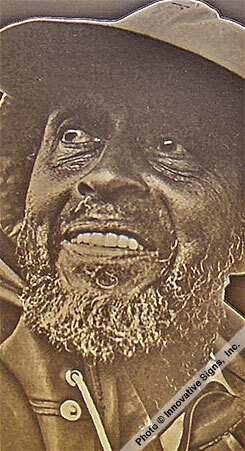 Sawyer's plaque arrived yesterday, on the anniversary of Sawyer's arrival and death. It was eerie, it was heartbreaking, it was uplifting... 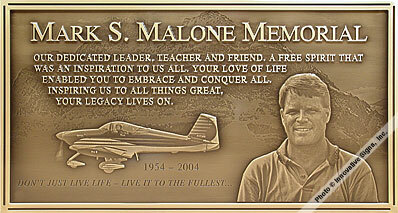 The plaque is so beautiful, it moved us all to tears. You have created the most perfect memorial we could have asked for, and the timing was incredible: we will be placing it today, on Christmas day. I will never be able to fully express how much this means to us, but I thank you from the bottom of my heart. ...spiked hair and cheesy grin. According to a poem written by Eric&apos;s mother, that&apos;s how he was known. 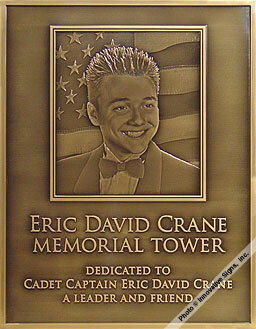 Eric was a Junior Reserve Office Training Corps (JROTC) Cadet Captain, and this memorial plaque dedicates a rappel tower at Bandy&apos;s High School, where he attended. 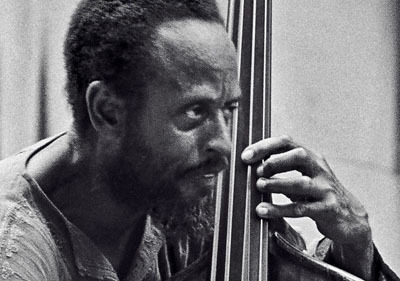 The unusually high level of detail present in both Eric&apos;s image and that of the flag were made possible by the use of extremely large original photographs. 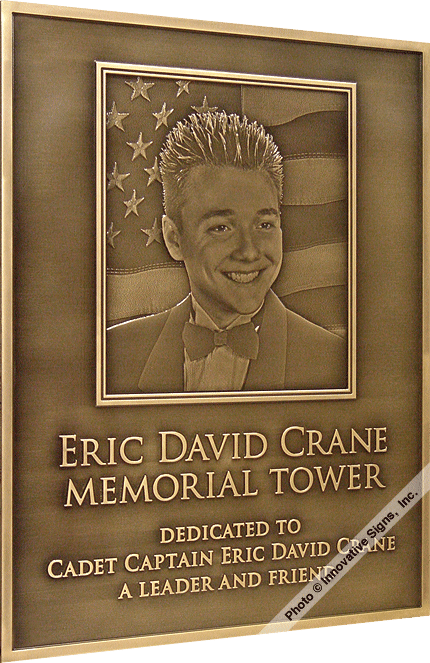 An American flag was requested to reflect Eric&apos;s patriotism and his greatest dream; to fly jets for the United States Air Force. 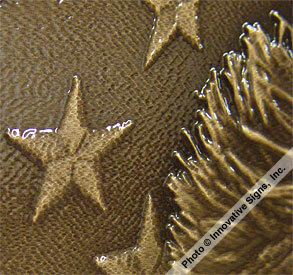 An extrememly high level of detail, the result of using large photos that were equally detailed.